ETH researchers have genetically modified a key variety of rice, making it very efficient at enriching its grains with iron and zinc. A team of researchers led by Navreet Bhullar from the Institute of Molecular Plant Biology at ETH Zurich has genetically modified one of the most commonly grown varieties of rice. The advantage over the original variety is that these plants are better at mobilising their cellular stores of zinc and iron and depositing in the white part of the rice grain (known as endosperm). This means that the micronutrients are transported and concentrate there. The ETH researchers are the first to explore this aspect of cellular transport mechanisms of iron and zinc to enrich rice with micronutrients. 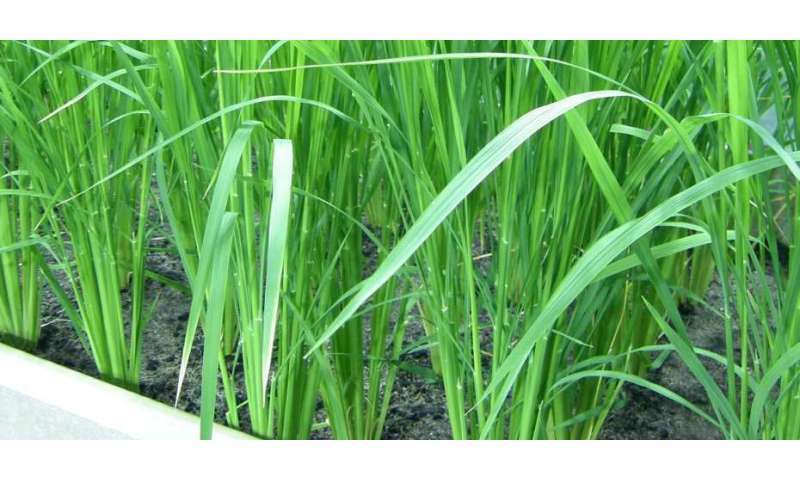 To achieve this enrichment, Bhullar and her team incorporated a genetic construct expressing a combination of three additional genes into the rice plants. One of these genes facilitates mobilisation of iron stored in the plant vacuoles, another encodes for an iron-storing protein Ferritin, and the third promotes efficient iron and zinc uptake by the roots. Last year, the same team of researchers established a proof of concept in combining three nutritionally relevant traits in one rice line, namely iron, zinc and β-carotene were increased simultaneously in the rice grains. As recommended by the Consultative Group on International Agricultural Research (CGIAR), 15 μg/g dry weight (DW) iron and 28 μg/g DW zinc in polished grains are required to provide 30% of the dietary estimated average requirement (EAR). In the latest work, the ETH researchers developed rice lines with iron increases equaling more than 90% of the recommended iron content and up to 170% of the recommended content for zinc in rice grains. These plants have so far been tested in the lab and greenhouse conditions, and it remains to be tested whether they perform similarly under field conditions. The new lines are foreseen to be tested in field experiments in the near future. Rice is a staple food for half the people on the planet. Typically, only the polished grains of rice are eaten. Unfortunately, the most widely grown rice varieties contain only a fraction or completely lack many vital nutrients in the grains. Most of the commercially-bred rice varieties contain only around two μg/g iron in the endosperm. This explains why micronutrient deficiencies are common in countries where rice provides a major share of the daily calories. Nearly 1.6 billion people in the world are affected by anemia, to which iron deficiency anemia contributes significantly and zinc deficiency is also reported to affect one-third of the world's population. Iron deficiency can lead to, among other things, anemia and zinc deficiency to a compromised immune system. Rice biofortification is therefore a sustainable approach to improving the health of the affected populations globally.